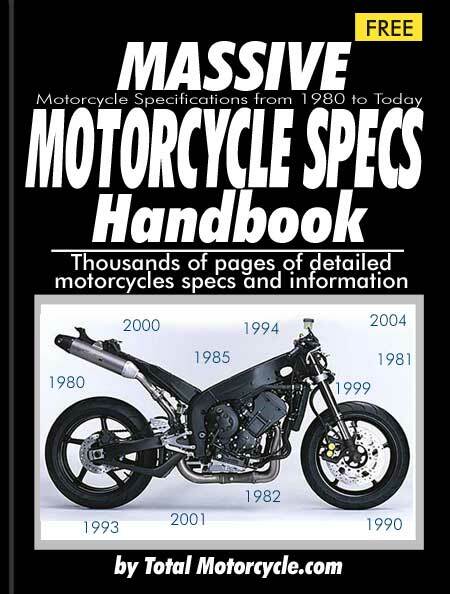 The Total Motorcycle Specs Handbook is a huge motorcycle resource of Motorcycle Information, Specs Specifications for older motorbikes since 1970. Compare bike Makes, Models, Manufacturers too. 2 or 4 motorcycles, any make, manufacturer and year.